Well the other day my buddy Gideon tracked me down via the internet leaving a message on this blog and also google+. Well I was really amazed to find out that he and his partner Angie have followed a similar path to the one that Anne and I are on ie: fulltiming in a motorhome /caravan and living life to the full. Last Wednesday Gids and Angie arrived here on site for a three night visit so that we could catch up with each other and I must say that we had a fantastic reunion meet-up. 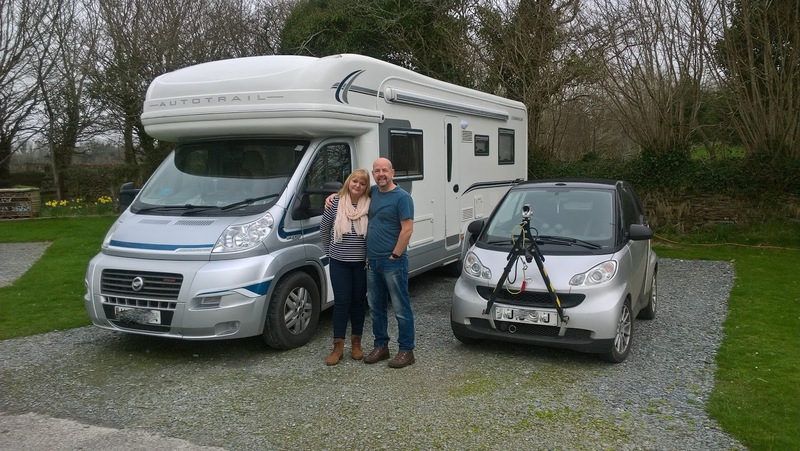 Gids & Angie with their Motorhome & Smart Car that gets towed behind. Anne & I have promised to drop by for a short stay at the site that they will be working on towards the end of the summer season.... Obviously that visit will be reported on here at PT.